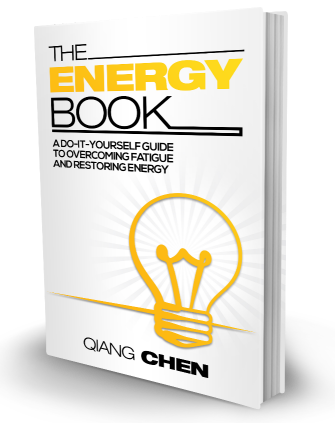 The Energy Book helps you to identify causes of your energy burnout and provide you with practical steps to get your energy back, based on the insights Chen gained from 20+ years of practicing Chinese Medicine. This book starts with probably the most important concept - 5 Stages of Human Health, which defines various health stages and the trend from healthy to illness. By knowing which stage of health you are at, you'll be able to take precautions of health warning signs and develop an effective energy recharge routine and execute against it. "The author has set out to provide an easy-to-understand and useful guide for anyone wishes to restore energy and vitality into their life. Without a doubt, he has achieved this. The book is full of simple, practical advice across these four areas to restore the body's natural energy levels. There is nothing complex about his advice and no strict formulas or diets to follow. Just simple tips and techniques that anyone can incorporate into his or her daily routines. This is a true do-it-yourself guide and I am pleased to recommend it."